Based in the beautiful Blue Mountains NSW Australia, we can provide a range of services related to web development. Specialising in building websites with the popular WordPress content management system for small business, creative and personal websites. We provide quality websites at affordable prices and we are dedicated to customer service, we’ll go the extra mile to make sure you’re happy with your website. Providing web design services to Blue Mountains residents and beyond. We specialise in building websites with the popular WordPress CMS. 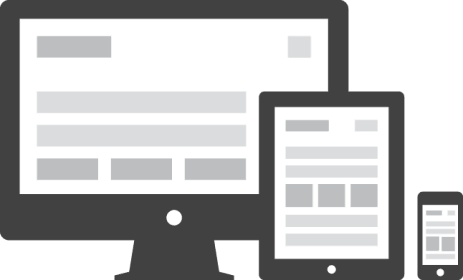 We can manage your website for you, or if you just want to add a new feature to an existing website. We can provide affordable website hosting for our clients and can register domains name for you. We can provide you with customised training videos to help you maintain your site. We will implement the best SEO techniques to help improve your websites search engine ranking. With the rise of mobile device use to access the internet it’s more important than ever to make sure your website is viewable through mobile devices. We can integrate a easy to use ecommerce solution into your website. We pride ourselves in providing great service to our clients. Eben did a fantastic job at the drop of a hat and took the technical issues into his stride! Highly recommended! My website was built quickly, and was just what I wanted (even though I wasn't totally sure what I wanted when we started). Changes were implemented quickly when requested and it all came in on budget. I'd definitely recommend Blue Mountains Web Design. "I needed help setting up my WordPress site for my business. Eben at Blue Mountains Web Design was efficient and extremely helpful. I got exactly what I needed at a price I would expect to pay. Would highly recommend his service and will definitely use Eben again." "I needed a simple online presence and Blue Mountains Web Design delivered just want I wanted on time and on budget." " Really happy with the website, exactly what I wanted. I find the WordPress cms easy to use"
"We've had lots of positive feedback about the new site & our online sales have increased also, really happy with it."